Sumner is a great place to include in tours, either as a destination itself or as part of a larger tour of Washington and the Pacific Northwest. Here are a few ideas to help get you started. Bus Parking: Full coaches are possible for all these options. For easiest access, contact the City of Sumner at carmenp@ci.sumner.wa.us or 253-299-5503 to arrange drop-off and parking locations in advance. Come on in to visit small-town charm. Shopkeepers still sweep their sidewalks and know customers by name. People smile and wish you good morning whether they know you or not. Forget smart phones and social networks–this is the place to unplug and enjoy life at a more leisurely pace. The Old Cannery Furniture Warehouse welcomes visitors for a special experience where produce used to be canned. Start at the Visitor Center, sample home-made fudge, and enjoy over two-miles of model trains. Not to mention furniture and home decor that’s for sale, restrooms and even talking chickens! Shop Main Street like it was 1955. Stroll tree-lined streets where people greet you and independent boutiques feature upcycling and shabby chic fashion and home decor. Brands include Vera Bradley, Brighton, Hudson, Le Creuset in award-winning stores. Dine at local cafes and diners, where good American comfort food is served up with a side of local gossip, and of course, rhubarb pie. Enjoy a picture-perfect Main Street USA, including Ryan House, one of the original historic farmhouses, now located right on Main Street. Ample parking is available at The Old Cannery and in public lots throughout Downtown Sumner. 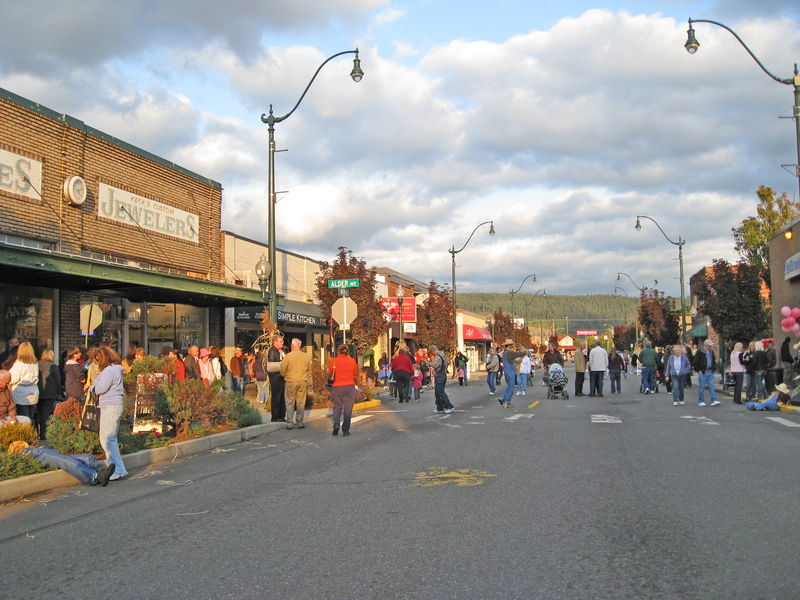 Downtown hosts outdoor concerts, a Santa parade, classic car show and more throughout the year. The Sumner Link Trail offers a paved, flat eight miles for walking or biking along the White River. The paved, relatively flat trail also connects to the Interurban Trail going north to Seattle and the Foothills Trail going south to Mt. Rainier. Sumner offers the perfect mid-way point for eating and spending the night at the Holiday Inn Express, just off the main trail. 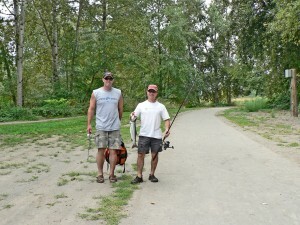 Use the trail to easily access the Puyallup River for fishing fun when the pinks run every two years (season-specific). Perfect 2-day ride/walk from Seattle to Mt. Rainier with overnight stay just off the trail in Sumner’s Holiday Inn Express. Take State Street off Traffic Avenue to its dead end for ample parking alongside the trail. The cul-de-sac at 24th Street offers a north-end trail connection. Special events like the Tour de Pierce and Rainier to Ruston offer special trail experiences. Sumner loves a good game. Sunset Chev Stadium features a variety of sports, right on Main Street while the Sounder train from Downtown Sumner offers a stress-free way to enjoy Seattle sports including the Mariners, Sounders and world-champion Seahawks. The fall Friday night football game is the highlight of the town. In spring, Sumner hosts the Sounders U-23 team, the next generation of professional soccer. From downtown Sumner, the Sound Transit station offers direct access by train to Seattle’s CenturyLink Field and Safeco Field for easy access to professional baseball, soccer and football games with no need to drive or park. Street parking and lots available near the Sounder Station and Sunset Chev Stadium. 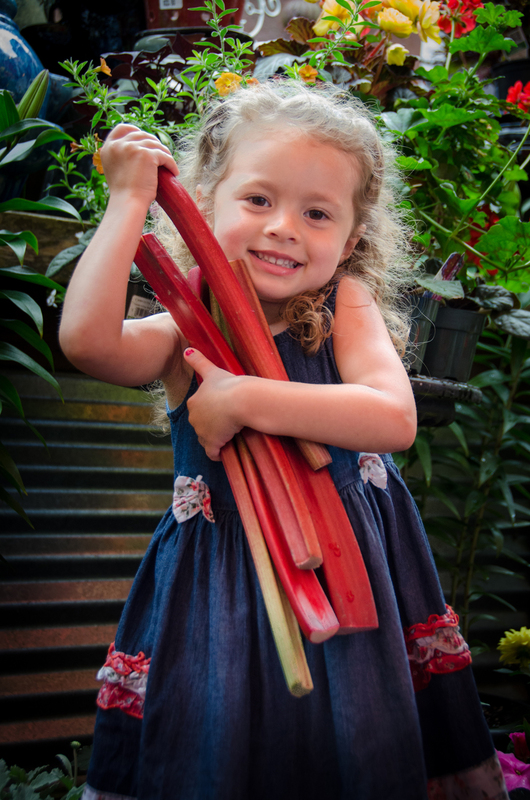 Sumner was built on agriculture with a gardeners’ dream soil that has grown hops, daffodils and rhubarb. 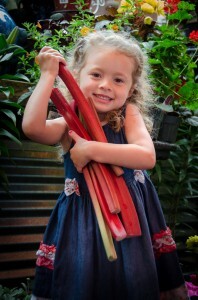 From the Daffodil Festival’s Grand Floral Parade to six-weeks of events for the Rhubarb Pie Festival, this is a destination for any green thumb. 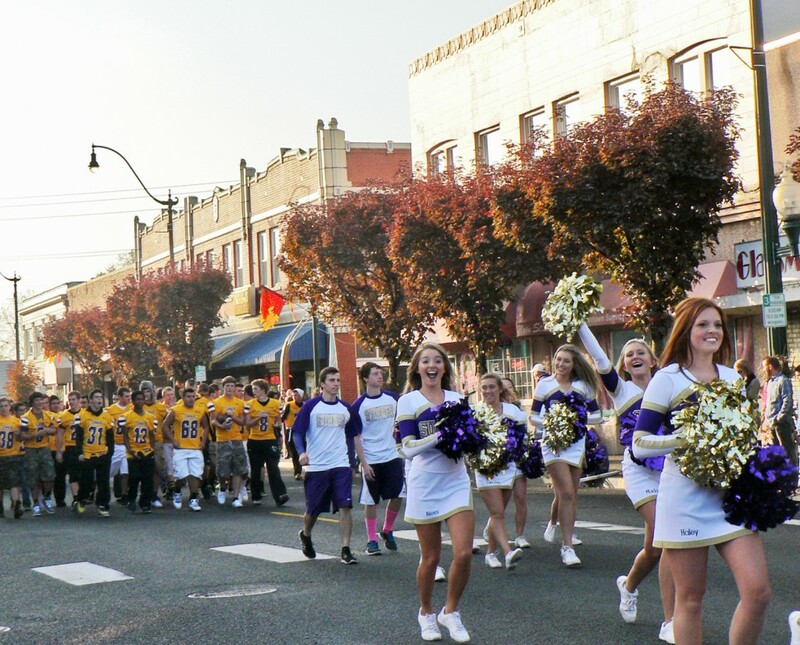 In April, the Daffodil Festival’s Grand Floral Parade goes through Tacoma, Puyallup, Sumner and Orting–all in one day. The Secret Garden Tea Room offers high tea in a Victorian mansion. The food is fresh and the setting unbeatable. Windmill Gardens offers a destination for gardeners and those who just want to visit a great garden setting. This one destination features gift shops, demonstration gardens, and Windmill Bistro with fresh cuisine served indoors or outdoors. More plants can be found in nurseries including Woodland Park Nursery, Fred Meyer and McLendon’s. All have lots that accommodate vehicles. Full-size buses should arrange ahead for options. Downtown lots and street parking accommodate the Parade down Main Street. Windmill Gardens often hosts lectures, how-to classes and special events such as Girls Night Out. While Sumner itself is a great destination, it also provides easy access to many more destinations in Washington. Make Sumner your “homebase” to explore many other adventures for a full trip of adventure. Five minutes to the Washington State Fair, featuring the rodeo, concerts and world-famous scones. Hour and a half to Mt. Rainier for year-round beauty and adventure. Note: Sumner is right at the start of the Mt. Rainier loop, where you can travel Highway 410 to Sunrise and the Chinook Scenic Byway and Highway 161 south to Paradise. Thirty-five minutes to downtown Seattle–accessible by train or bus too! Twenty minutes to downtown Tacoma–accessible by train or bus too! Fifteen minutes to The Outlet Collection in Auburn with outlet value for brands like Coach, Ann Taylor, Eddie Bauer and more. Thirty minutes to Chambers Bay, breath-taking home of the 2015 U.S. Open. Twenty minutes each to America’s Car Museum and the LeMay Family Collection at Marymount, two great destinations for car lovers. Two hours to Washington Wine Country over the Chinook Scenic Byway. Sumner is at the crossroads, where the Mt. Rainier loop begins–Hwy 410 to Sunrise and Hwy 161 to Paradise. Hwy 167 leads to Seattle, the Outlet Collection and Tacoma. Hwy 410 east goes to wine country over the Chinook Scenic Byway.